Located in the heart of downtown Richmond, Main Street Station is an active Amtrak train station. 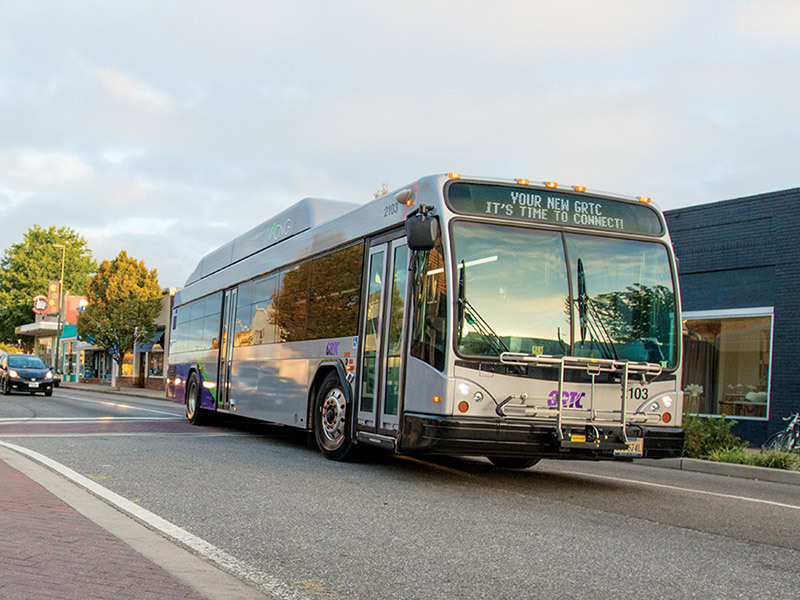 It is also the Richmond region’s premier multimodal transportation center, with local and national buses, bike rentals, car services and electric car charging. So it’s not only a place to go. It’s a place of connection. Main Street Station is Amtrak’s downtown Richmond (RVM) location, with service on the Northeast Regional Train. North to south, service goes from Richmond to DC, New York, Hartford, Providence/Springfield and Boston, and east to west to Norfolk/Newport News and Virginia Beach. Or, of course, you can head to DC and transfer to just about anywhere Amtrak serves. Plans are currently underway for high-speed rail service from Main Street Station to metropolitan downtowns up and down the eastern corridor. 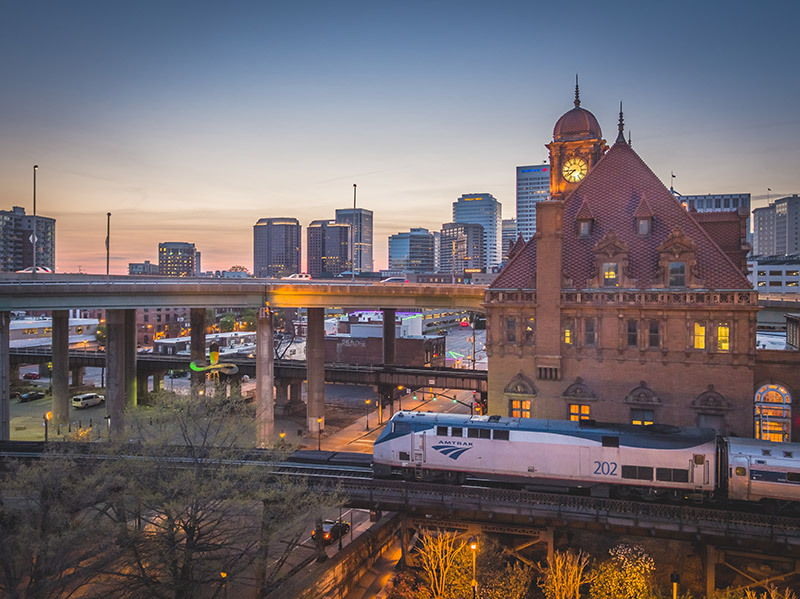 Recently, plans were approved for a high-speed passenger rail line from Richmond to Raleigh, and a northbound high-speed line is currently in the works. Sign up for high-speed rail updates to stay on top of the developments. Click for tickets and schedules. The Greater Richmond Transit Company (GRTC) is the Richmond region’s urban and suburban bus line, with hundreds of buses operating every day. 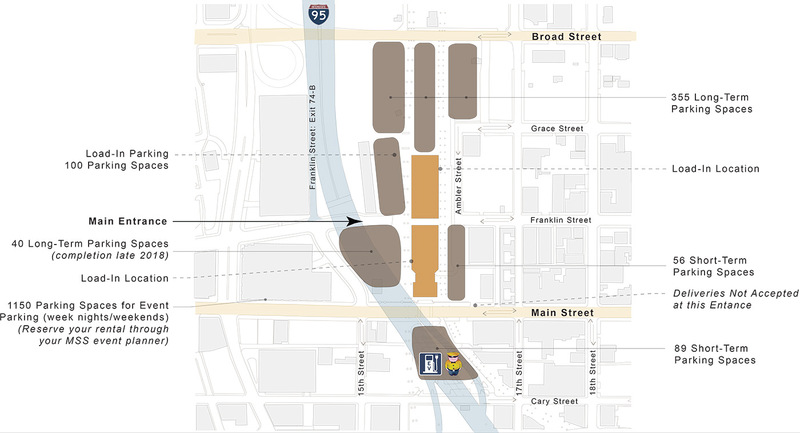 Main Street Station is within two blocks of many of GRTC’s major routes. It’s also right on GRTC’s Pulse line, Richmond’s new east-west rapid transit system, which should be complete by mid-2018. Call 804-358-4782 for details, or visit ridegrtc.com. Main Street Station is also a connecting point for Megabus, which offers low-cost travel to cities across the country on high-quality buses. Arrivals and departures for Megabus are just across the street in the Richmond Travel Plaza. For tickets and schedules, go to their website. The 52-mile Virginia Capital Trail bike trail goes from Richmond to Williamsburg, following the James River and the scenic byway Route 5. 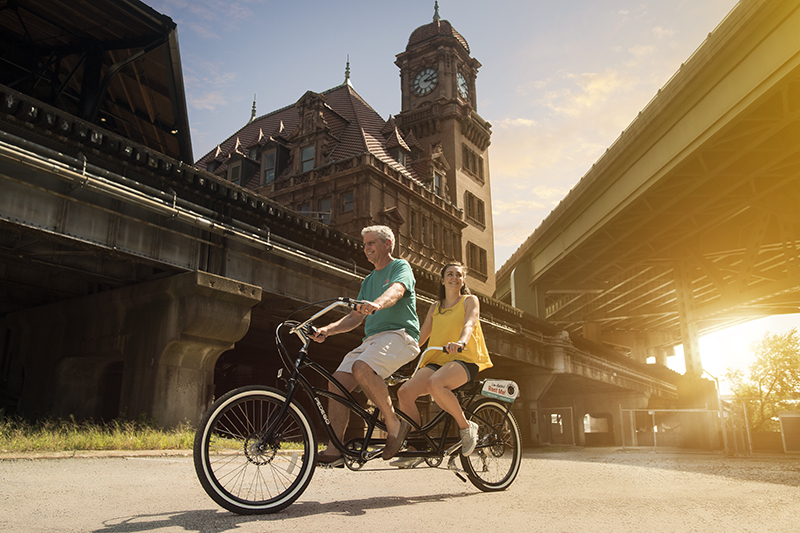 The Virginia Capital Connector bikeway from Main Street Station takes you right to the trail’s starting point. And this is also the ideal place to rent a bike. The Richmond Bike Share program at Main Street Station lets you pay a low fee to rent a bike for a few hours, and return it to one of dozens of stations throughout RVA. Also, bike rental companies Shift Bicycles and Adventures in RVA are within just a few blocks, and the nearby Pedego RVA has electric bikes for rent, too. Care to bring your own bike? GRTC buses are all equipped with bike racks. For electric cars, Main Street Station will be the premier charging hub in central Virginia. Our parking lots currently feature four charging stations, with level two and level three service, as well as a Tesla charging station. Nine more charging stations are planned for next year. 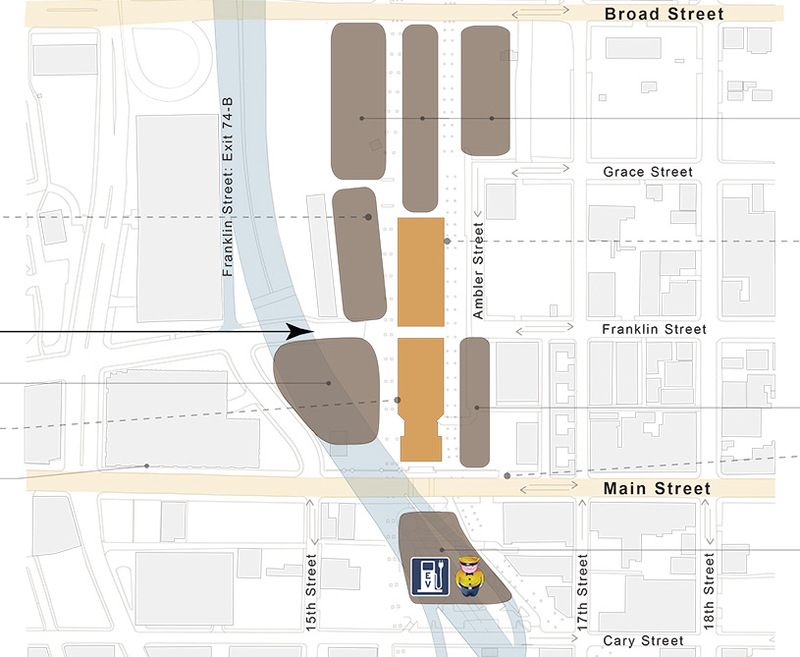 If you prefer to drive your own car and explore the downtown, park your vehicle at Main Street Station. There are two well-lit automated parking lots in two locations at the station. Parking is free for the first hour, $1 an hour after that, and $5-$6 max per day depending on the lot. 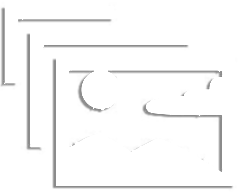 Click here to see your parking options.